I’ve had a post on juglone that has sat unpublished for months. No particular reason other than it didn’t quite fit with the rhythms of the blog. I’ll definitely expand of this subject in the future but the gist is that walnut trees excrete through roots, leaves, seeds, basically any living tissue, a toxin that kills many other plants like apple trees, tomatoes and a wide array of fruit bushes. Regarding the raspberry family (Rubus genus), it seems some plants in the genus can tolerate juglone and others are susceptible. For example, black raspberry seems to tolerate the toxicity while red raspberries do not. What about wineberries which have taken over much of the forest edges and parts of the pasture? I planted a black walnut right in the middle of the wineberry patch. 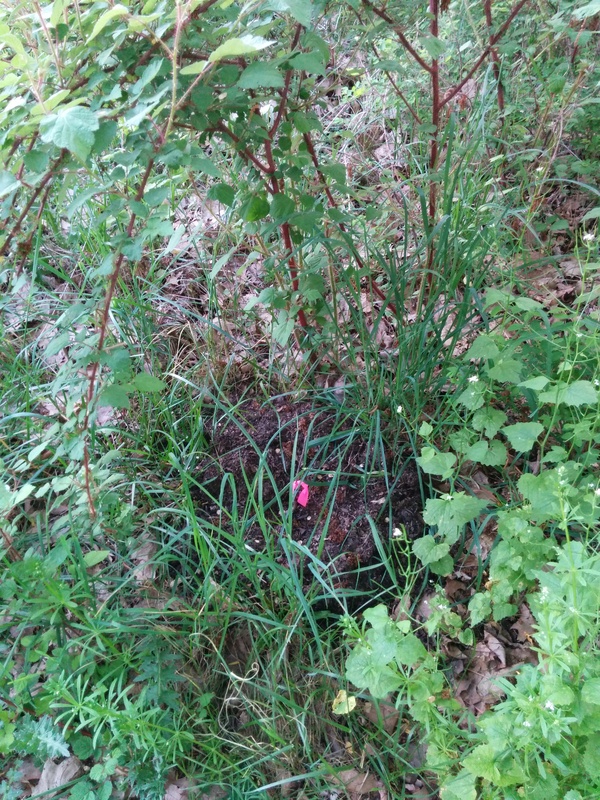 If the seedling survives the light competition, I should be able to observe its effect on the well-established wineberry thicket. Actually my dad gave me 10 trees he bought from the local Future Farmers of America fundraiser. The set consisted of 5 apples and 5 black walnuts labeled “Domestic”. I have no idea what kind of genetic information they contain, but who cares? I know the pigs won’t care when they are scooping up nuts and apples in a few years!